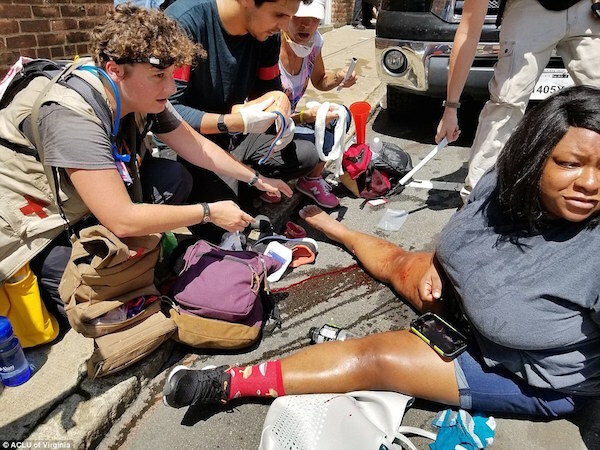 A car hit a crowd of people gathered at a rally in Charlottesville, Virginia, on Saturday, hours after police broke up a clash between white nationalists and counter-protesters, according to witnesses, but it was not clear whether the incident was connected to the earlier melee. 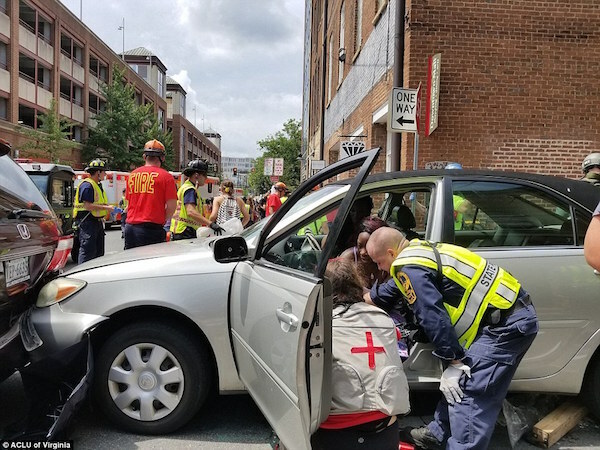 The accident involved three vehicles, and there were multiple injuries, Charlottesville city spokeswoman Miriam Dickler said in a text message. At least four injured people were spotted at the location where the vehicle struck demonstrators, including one person who was taken away on a stretcher by paramedics. Multiple ambulances were on the scene soon after the early-afternoon incident. 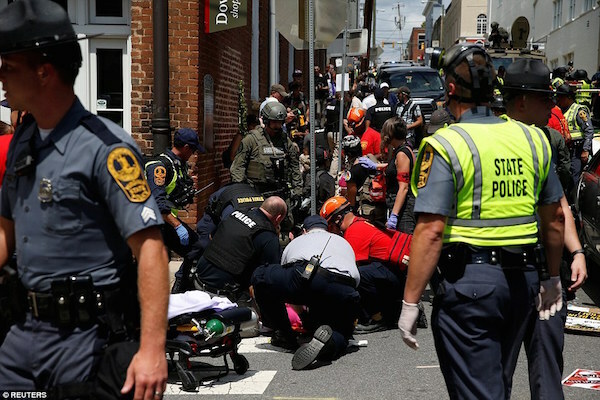 Charlottesville police said in a statement on Facebook that they and Virginia State Police were at the scene of the incident in the city’s downtown.